This is the centre of Crook of Devon, so named due to a kink in the River Devon around which the village is built. It is very typical of a Scottish village 'main street'. 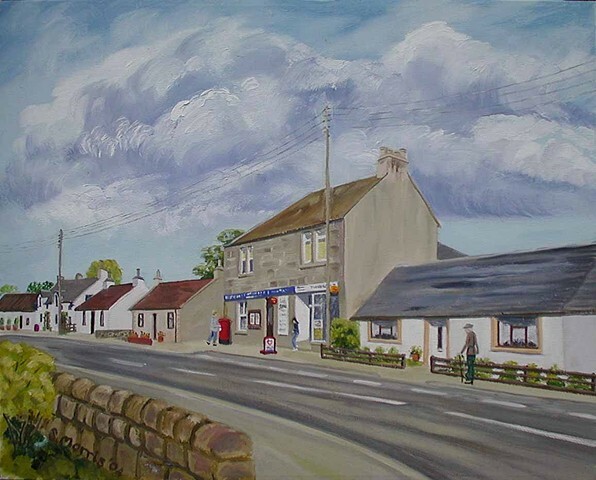 The post office is also pivotal to village life and in addition to postal services it sells essential supplies. One of the aspects about my painting which I enjoy is being a 'recorder' of everyday life. The world is changing so very fast, how much longer will we have post officesand their undervalued services to our carless and elderly?